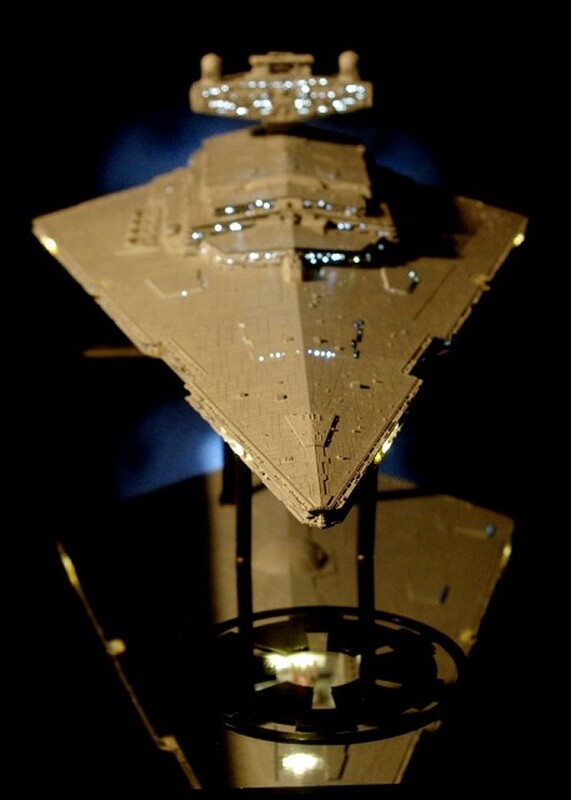 The 1/2700 scale Revell/Zvezda Star Destroyer Model. 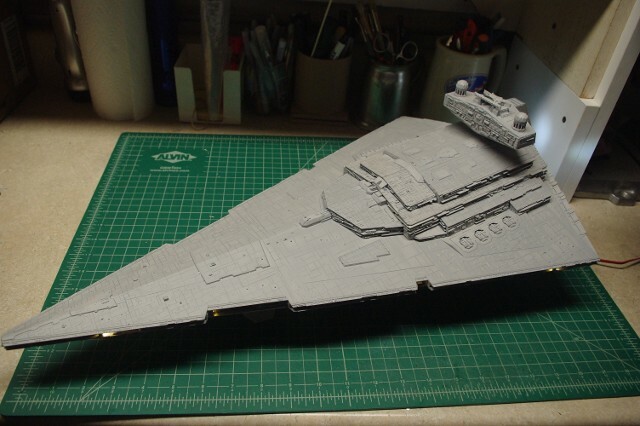 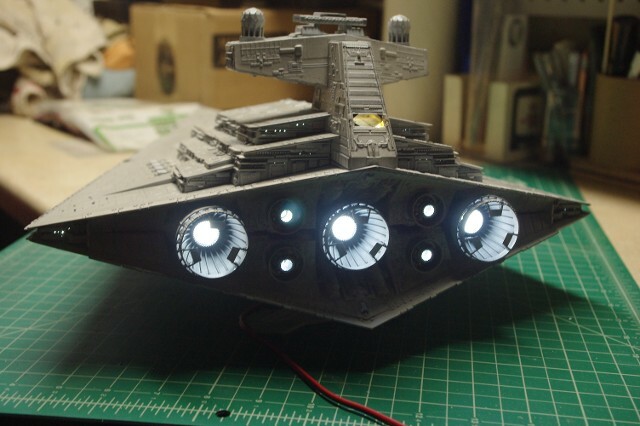 At almost 12 inches wide and 22 inches long, this is the largest and most detailed Star Destroyer model yet produced. 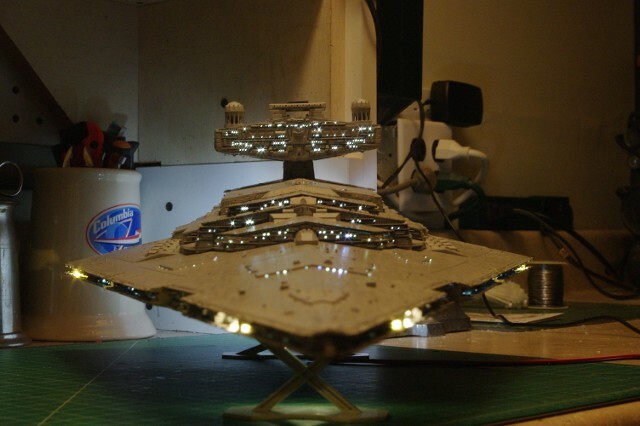 We have looked over IDS footage from the Star Wars films, plus a number of other modeler's offerings on this same model on You Tube and other locations, in order to plan our own approach to the build. 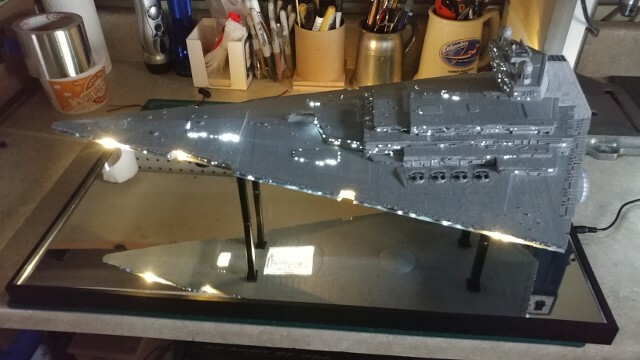 As always, our goal was to create a finished model we could be proud to display, but not take a year or more in it's construction. 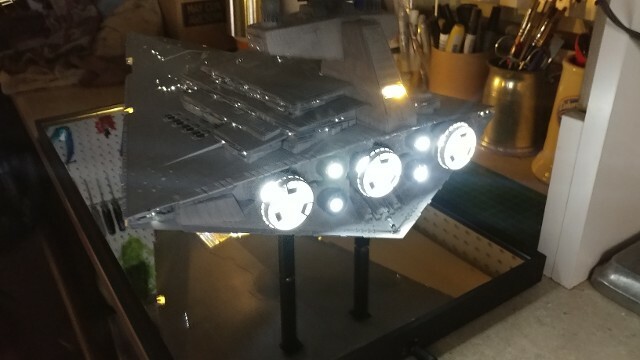 The two biggest challenges in this model are exterior surface painting and detailing and the installation of the combination LED & fiber optic filament lighting system. 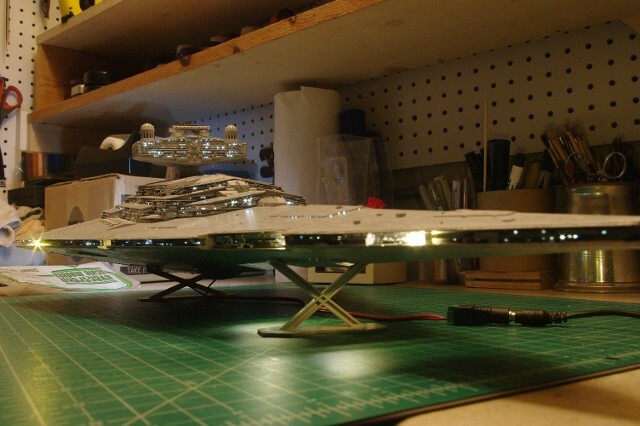 Both of these processes required the greatest amount of time to plan and execute. 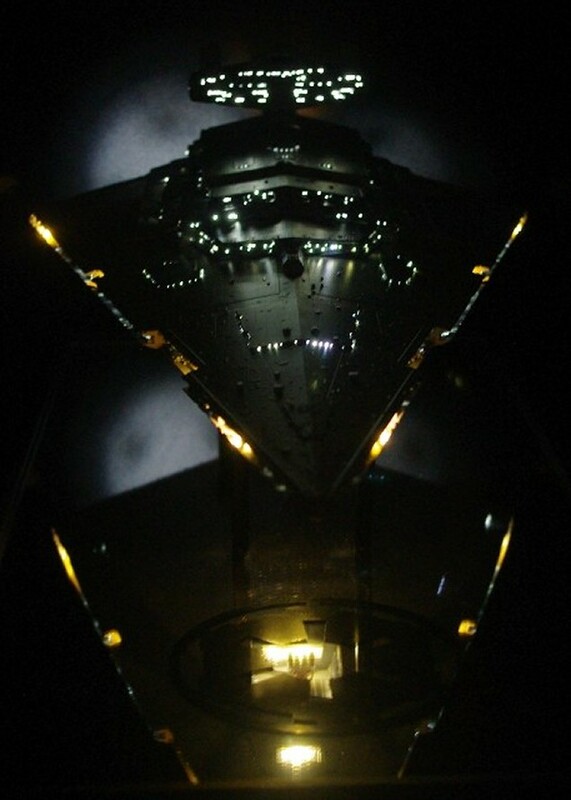 We employed a number of Green Strawberry detail products purchased from HDAModel works.com. 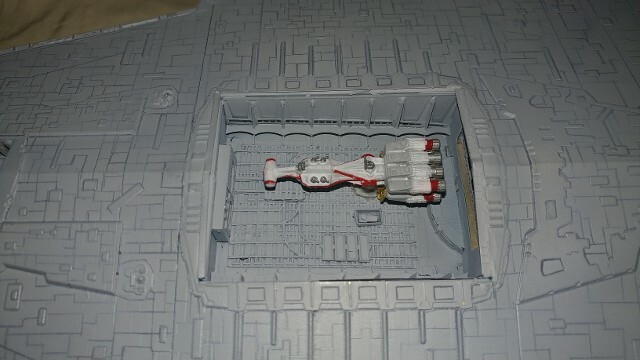 We added a 1/2700 scale Rebel Corvette, captured and being held in the main hanger bay. 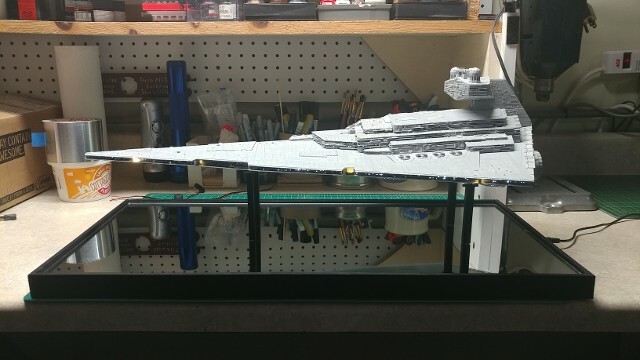 The Corvette came from Shapways.com, "308Parts." 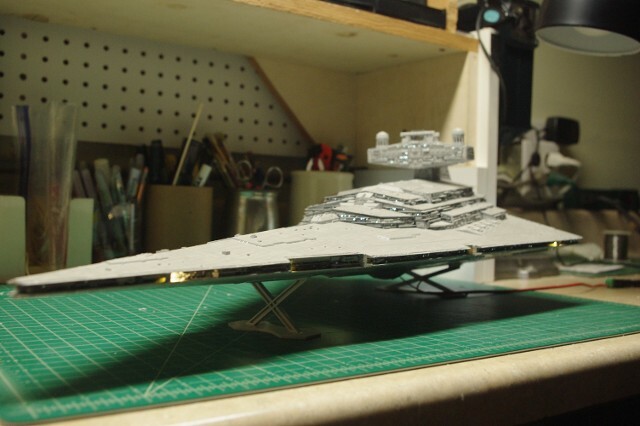 Now, we needed a display base to support this incredible model. 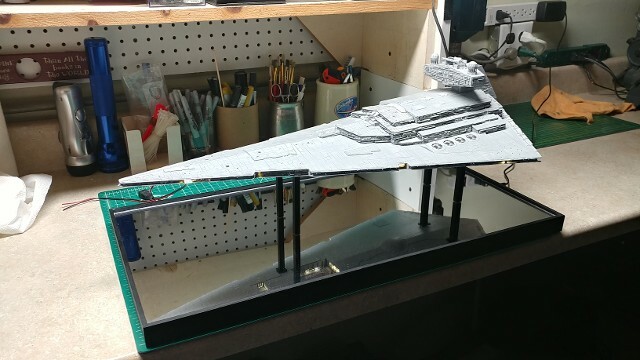 We started with a 3/4" plywood platform, added a cover of mirrored Plexiglas, added support columns to hold the model and provide DC power to the two rear hull contact points and finished the support columns and wood edging in Citadel Chaos Black. 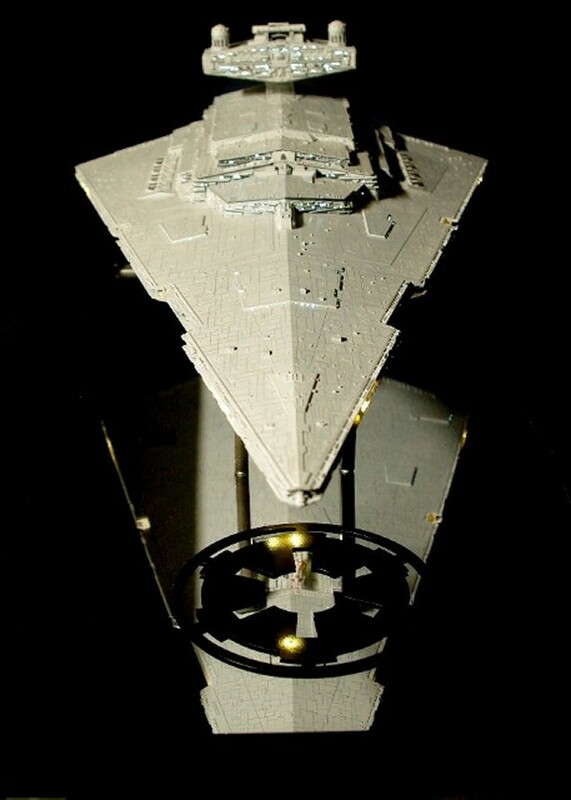 The final touch was adding a 5-inch Imperial Seal decal onto the front area of the mirrored base surface, below the bow of the Destroyer. 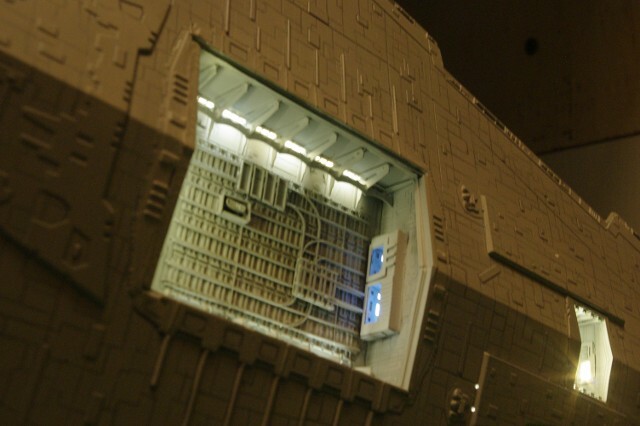 For more information about the build itself, check out our Shutterfly ShareShite dedicated to this project.